ABSTRACT: When thinking of places that are ideal for conserving threatened species, the word ‘urban’ rarely springs to mind. Urban habitats are often considered too small, too degraded or too dangerous to truly be valuable for conservation. However, there is a growing push to better recognise the contribution of cities and towns to biodiversity conservation and threatened species management, and investigate creative ways of overcoming urban threats. Are we undervaluing the contribution of urban areas to biodiversity conservation? What opportunities might we be missing? How might we use novel management actions to mitigate threats, and how can we tell if they work? In this talk, I’ll highlight the opportunities (and challenges) for conserving Australia’s threatened species in urban landscapes. I’ll then discuss a case study in which we experimentally tested the success of crossing structures designed to reduce the negative impacts of roads on wildlife. BIO: Kylie Soanes is an ecologist focusing on the impacts of roads and urban development of nature. 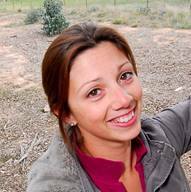 She received her PhD in 2015 for her research project evaluating the effectiveness of road-crossing structures for arboreal mammals in Australia (You may have seen the possum ladders over the Hume?). Kylie now works for the National Environmental Science Programme in the Clean Air and Urban Landscapes Hub and Threatened Species Recovery Hub, investigating ways to promote biodiversity and conservation of native species in cities and towns. She is based in the School of Ecosystem and Forest Sciences at the University of Melbourne. Appointments with guest speaker may be made via Euan Ritchie.